FLOTSAM AND JETSAM's Drummer KEN MARY: "Metal is Where the Envelope is Being Pushed Drumming-Wise More Than in Any Other Genre"
It’s no secret that we at Sonic Perspectives love FLOTSAM AND JETSAM – we recently published an interview with their guitar player Michael Gilbert, and a glowing review of their upcoming album, The End of Chaos, which is promising to be one of the greatest metal releases of 2019. And now, expanding even more our reach and getting more insight into that album and the creative process around it, we had a chance to catch up with Flotsam‘s prolific drummer Ken Mary. Ken‘s name may not ring a bell at first listen, but if you’re a metal fan, there’s a good chance that you’ve heard him on the skins in an album you admire – the list of bands he’s been a part of include Chastain, Impellitteri, House of Lords, Fifth Angel, and the “Raise Your Fist and Yell” era of Alice Cooper. 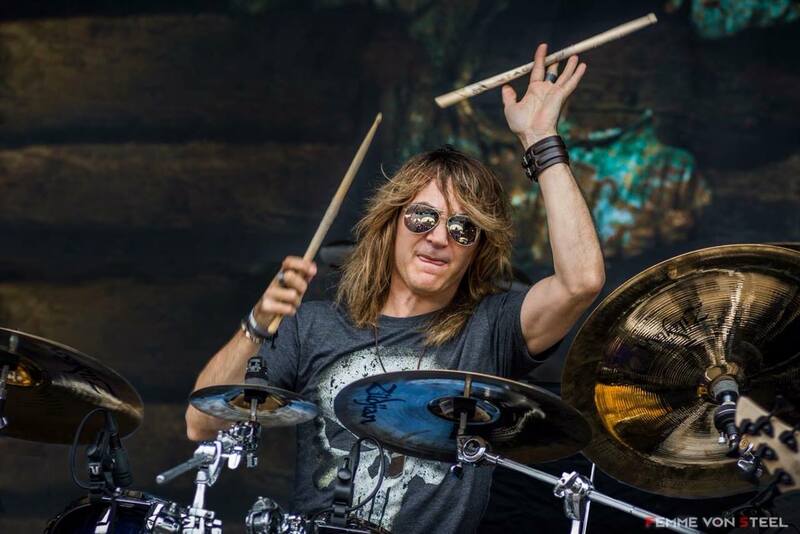 Ken has worked as a drummer, producer, engineer, singer, record executive and writer on over thirty-five albums that combined have sold over five million copies worldwide, in genres from heavy rock to choral music. Sonic Perspectives collaborator Rodrigo Altaf caught up with Ken and they discussed Flotsam‘s new album and the upcoming and tour, and reviewed all of his career in a lengthy conversation that you can find on the link below. Listen to their chat, or subscribe to our Podcast in several platforms to listen and be notified about new interviews and contents we publish on daily basis.